I haven’t been home much lately. I’m practicing four days a week, trying to get in extra workouts when I’m not at practice, and between bouts and scrimmages, I have no free time. The end result? This. It turns out my dogs miss me when I’m gone. 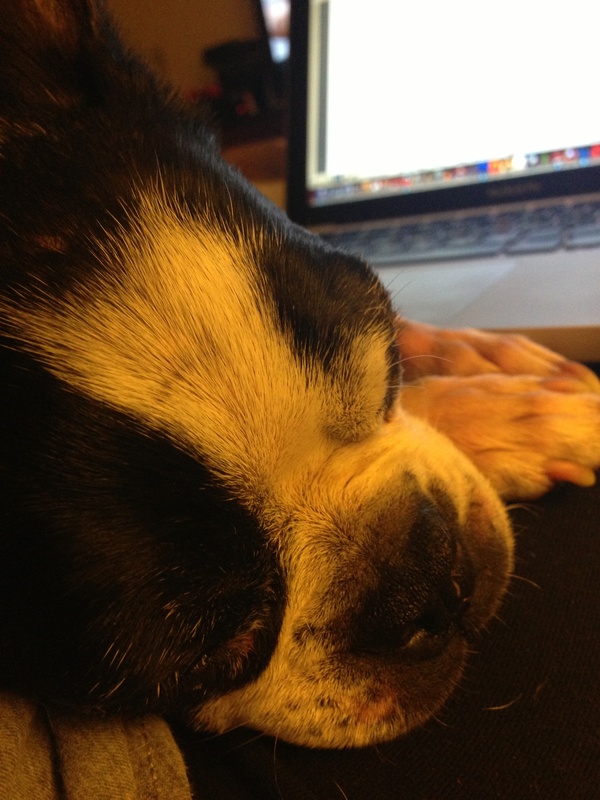 I couldn’t get this little girl off my lap all night to get some work done. It’s nice to know I’m missed and that she doesn’t want to leave my side when I’m home. Now, if only I could teach her how to write, I’d be golden. Or at least able to finish up my freelance projects uninterrupted.